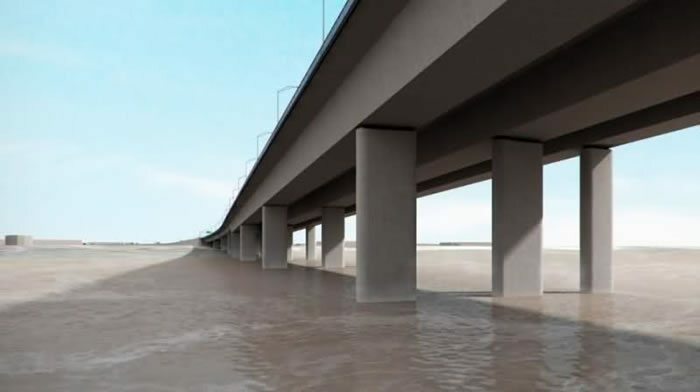 Upgrade of the second Niger Bridge, including its arteries and connections has commenced in Delta, Edo states and the South-South region in Nigeria. According to the Vice President Namadi Sambo, the commencement was approved by the Federal Govern-ment directing the Minister of Works to establish the actual areas that need quick attention, noting that the completion of the second Niger Bridge upgrade project will likely attract an increased flow of traffic. He further elaborated that the designs of the second Niger Bridge must be presented for the future idealization of the road since the work is scheduled to com¬mence by 2015. The Federal Government plans have railways in all the areas to make transporta¬tion system more effective, and the transformation programme expected to benefit Nigerians. The allocation com¬prises of Ebu, Illah, Emu, Inyede and Igbedo as the host and im¬mediate benefiting communi¬ties of the Utor River Bridge on the Asaba-Illah-Emu-Ahia-Uromi Road. Utor River Bridge project was previously abandoned by the administrations and eventual¬ly revived, approved and funded by President Jonathan.